We understand that the number of accounting software programs available today is overwhelming and choosing the right software may seem like a daunting task. That’s why we have established an extensive criteria for determining which accounting software is best suited to your business’ needs. There are many advantages associated with using an automated accounting program for your business’ record-keeping. Programs provide instant benefits in the areas of information management, compliance, business process automation and real-time reporting. Some popular examples of accounting programs include: MYOB, Xero, Quickbooks, and Cashflow Manager. If you’re looking for a way to streamline your accounting process, your best bet is to seek out accountants with real world experience in cloud accounting to make sure your business stays ahead of the curve financially. General Taxation Services are well-versed in using cloud accounting software such as the Xero accounting package to deliver simple, effective and secure online accounting services to our clients. We will provide you with a continuous, convenient stream of advice and reports on your business accounting through the cloud. This includes managing your invoices, quotes, bank reconciliation, inventory, employee payments, purchase orders, billing and claims for expenses. With cloud accounting software installed, you will have instant access to this accounting information anytime, anywhere. GTS works with a huge range of accounting software in the cloud, including Xero, MYOB, Quickbooks, and Reckon. 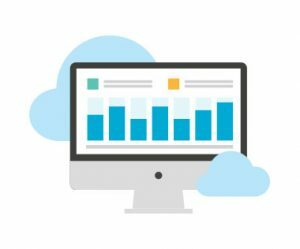 We are happy to work with you to determine the best cloud accounting software for your business needs. A strong accounting package provides management with internal controls to records transactions in a timely and consistent manner. These controls ensure that only authorised users are performing prescribed tasks and that adequate segregation of duties is being enforced to help prevent fraud. For many companies, accounting software security is based on a need-to-know basis. Security also means that database rules are enforced to ensure integrity and prevent corruption. Strong data types and server-based referential integrity help ensure that the data is meaningful and as free from error as possible. The ultimate goal of an accounting system is to provide financial information to management and decision makers. Computerised accounting systems have the ability to present relevant data in a timely, consistent and concise manner. A good accounting system provides timely and accurate information to business managers. Managers can the identify and reduce costs and add margin to their areas of responsibility easily. Accurate invoices and customer statements, timely order status updates, and consistent processes all help improve your customers’ experience. Access to order history helps your sales and marketing team tailor up-sell, cross-sell, renewal and other promotional offers for your existing customer base. If you know your sales order pipeline, your current inventory position and requirements, and your current cash current cash commitments, you can manage the cash requirements of the business without turmoil or the need for sudden corrective actions. Knowing what inventory quantities you have on hand, what is back-ordered, and when your suppliers will ship – all help you run your business with smaller inventories and better inventory turnaround.